Hats and caps for pilots and cabin crew complete your professional look. 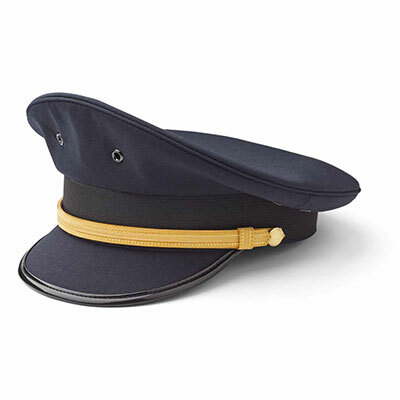 Airline hats are an important part of your uniform program and can serve as a "beacon" for your airline's entire look. Just think of Qatar Airways or Emirates and their signature appearance. 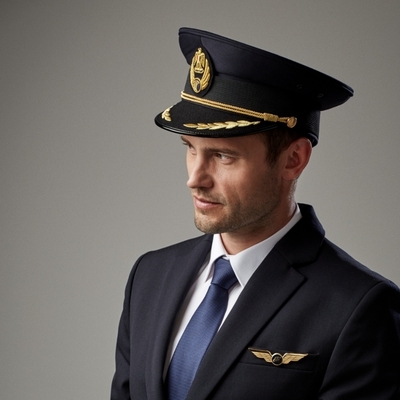 One of the most distinctive elements of any uniform, the cabin crew hat and the pilot cap complete the picture and add a sense of authority and professionalism. 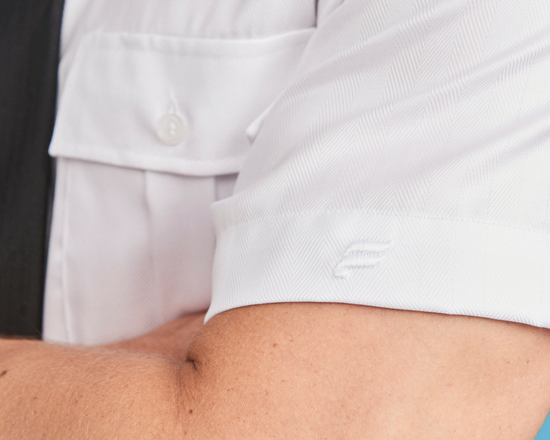 It is a powerful symbol that helps distinguish crew from passengers and flight deck crew members from the cabin crew. 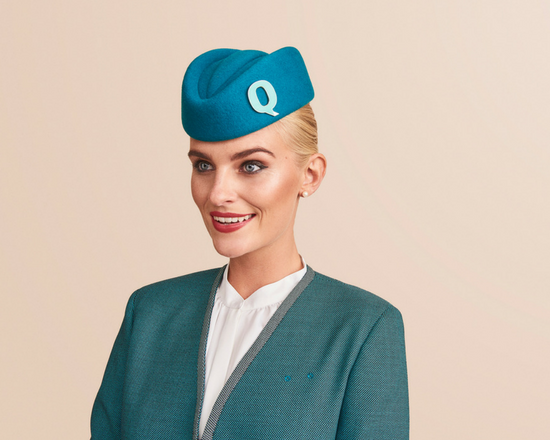 After some years of declining popularity, airline hats are now making a comeback and playing an ever more prominent role in creating a distinctive, professional airline uniform look. 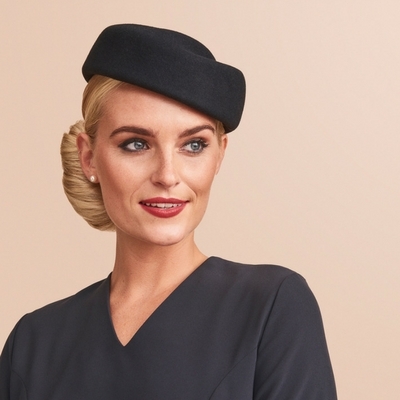 Stewardess hats are a key uniform element that adds glamour, style and strong branding to the uniform as a whole. Designing the perfect hat requires careful consideration and insight. 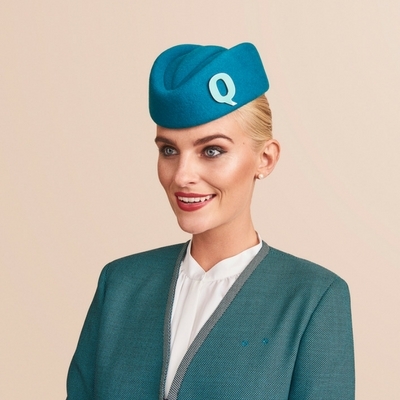 We have very strong skills in the niche area of stewardess hats and airline felt hats, and we are currently specifying, designing and producing high-quality signature hats for several airlines. Our supply services make sure you always have the hats you need. 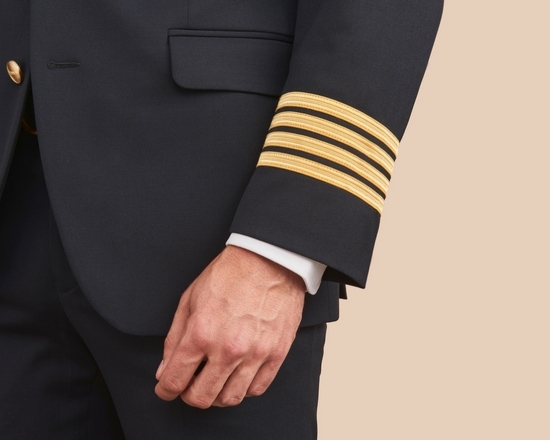 Pilot caps clearly define your flight deck crew and make them readily identifiable. 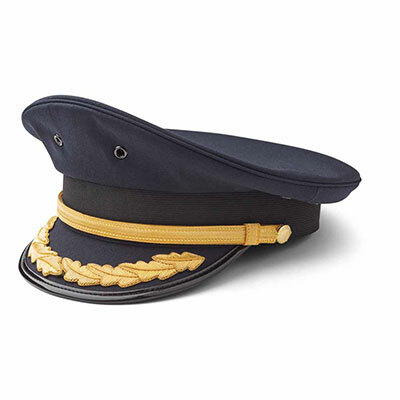 Most pilot caps will feature a rank order, with captain caps bearing embroidered leaves. Your airline's branding is incorporated into the cap design via the braid colour or embroidered or metal. Pilot caps normally come in just a few cap types. 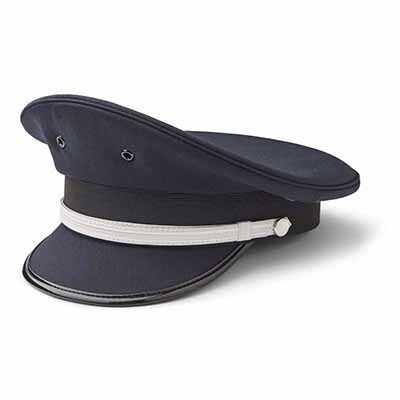 Traditionally, military-inspired airline caps featuring larger tops and a rather stiff apperance have been popular. Today, more airlines opt for a softer version with a slightly smaller top. In our stock program we have our Paris Pilot Cap in with Gold or Silver trim and embroidered leaves. 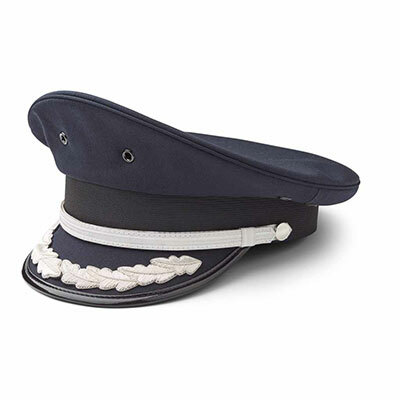 The First Officer cap comes with trim, and the cap for the Captain comes with trim and embroidered leaves. Our gallery will give you some good ideas for your new pilot caps. NB: we only sell hats and caps to registrered businesses with a valid VAT number. 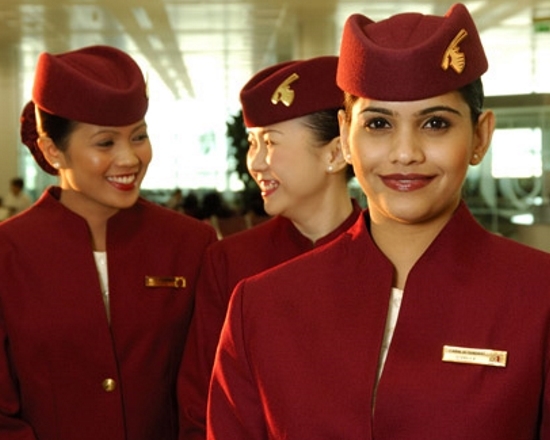 20,000 Qatar Airways flight deck, cabin crew members and ground staff wear distinctive uniforms from Olino.